With a university degree in Translation and Linguistics and a specialization in Marketing & Communication, she’s NLP Master and Relational Systemic Counselor, and has acquired valuable tools for the management of Communication & PR inside online and offline. 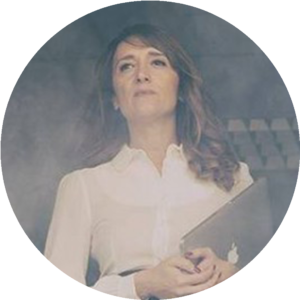 Passionate supporter of the web and social media, she develops digital communication strategies training companies and professionals on public speaking topics, customer relationship and crisis management, to protect reputation and gain popularity in the network. Barbara is member of the Ethical Marketing Manifesto.